The Ally wedding is ring is completely hand fabricated. Right down to hand pouring ingots of gold and hand forging each tiny tapered wire filigree. 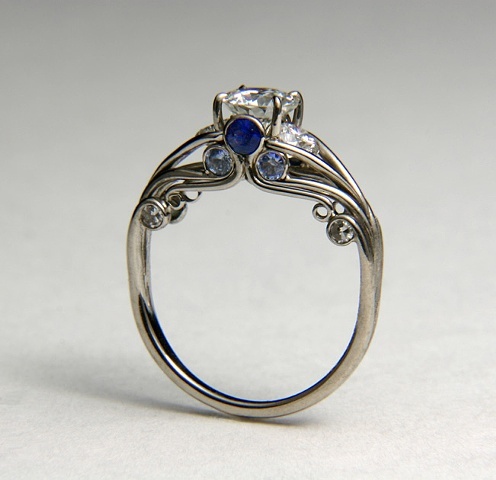 Each wire had to be the same size on each side and had to fit with the other wires and stones to integrate into each other to create an amazing contemporary Edwardian style ring. This metal is 18kt palladium white gold that does not contain nickel, which is a great metal for those individuals with metal allergies.